Mania Tattoo. Custom Tattoo Shop in Blackpool. 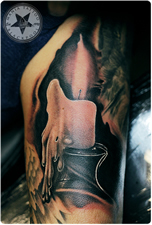 Mania Tattoo is a professional tattoo studio in Blackpool. Mania Tattoo is also a tattoo equipment supplies shop. Welcome to Mania Tattoo. 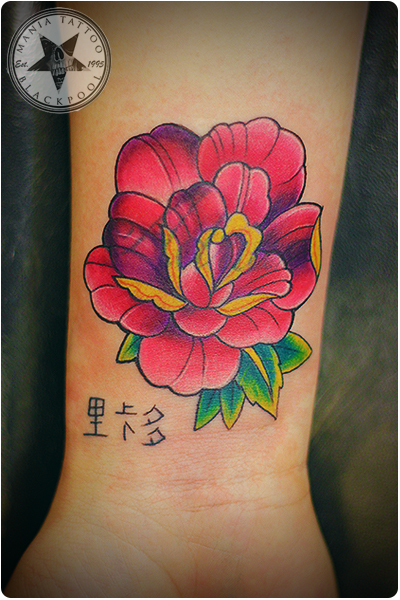 Our tattoo studio in Blackpool is open 7 days a week from 10:30am. 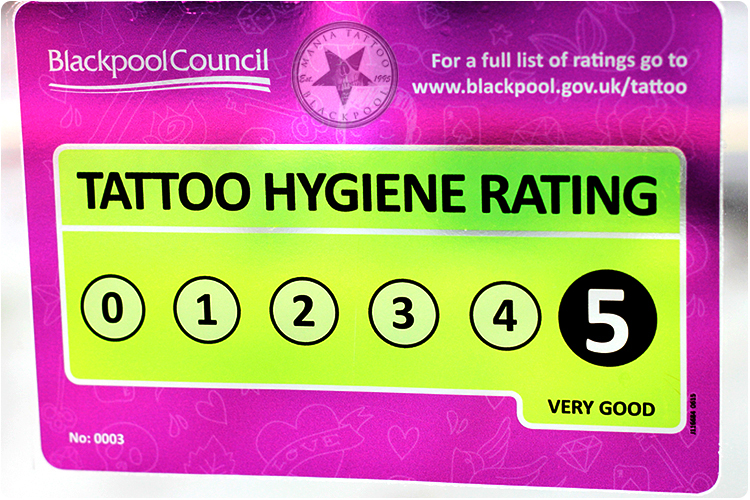 The tattoo shop is located at 28a Station Road in Blackpool (near South Pier and Blackpool Pleasure Beach). Mania Tattoo is open all year round, we are popular choice with the locals and visitors of Blackpool, St Annes, Fleetwood, Cleveleys and beyond. Mania Tattoo Blackpool has a superb reputation for quality and excellent prices. 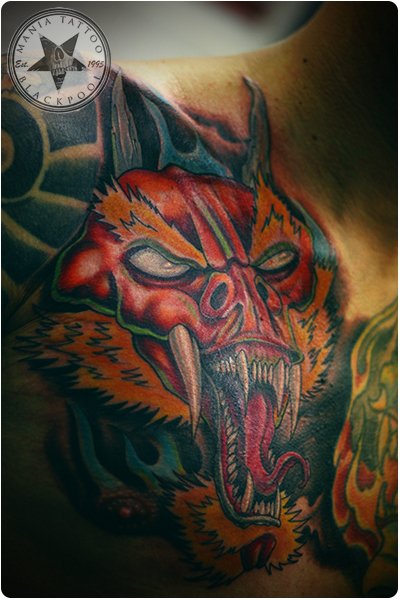 All tattoos and body piercings done at our studio are done by seasoned tattoo and piercing professionals. 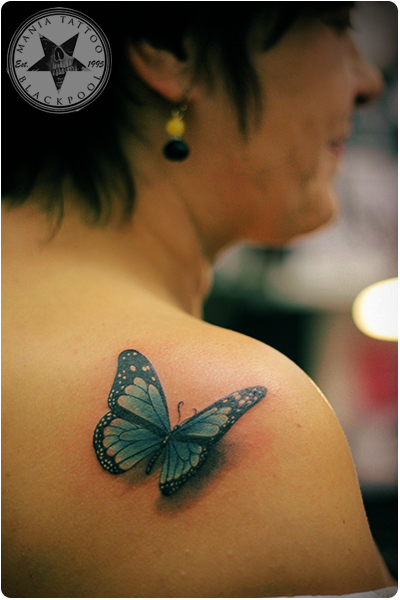 Tattoo prices vary depending on how much time they will take to complete. 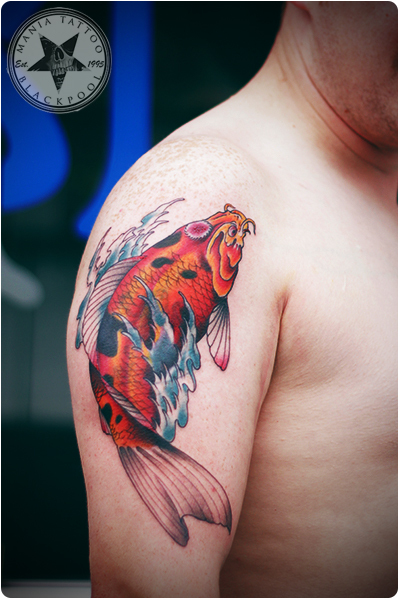 The minimum charge (set up charge) per customer at our tattoo shop is £25. We offer a competetive hourly rate for big pieces such as sleeves, back pieces, chest pieces etc. Our tattoo studio was established in 1995, it is fully health registered, licensed and insured for tattoo treatments (not many studios are). We scored 100% in the hygiene rating system (only 92% is required for 5 stars). We run a tight ship at Mania, our studio is cleaned daily from top to bottom. Our clinical waste is removed by Principal Hygiene. We use Eternal Inks, Intenze inks and World Famous Inks. 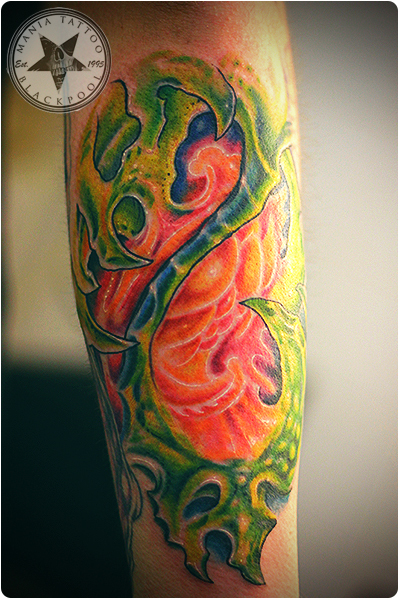 All the tattoo inks we use are EU approved and tracable by batch number. Our tattoo needles are gas sterilised and pre-packed (they get used only once and then disposed of in a sharps bin). Everything we use other than the tattoo machine itself is disposable and used only once. All used furniture such as chairs, beds and armrests are covered with fresh disposable barrier film before every tattoo. All workspaces are thoroughly cleaned after each job.